Up until recently I’ve had very scant regard for the electric parking brake, far preferring the traditional physical handbrake. 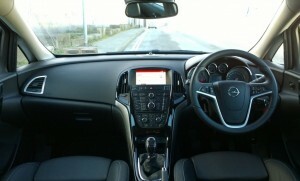 However, the new Opel Astra saloon has opened my eyes to the spatial benefit of the switch. The Astra saloon, a beautiful car, is clearly designed for the newcomer. There’s nothing wrong with the handbrake, it’s just a bit squished in the centre console – with the button on the handbrake sitting just above the casing of the gearstick when it’s released. The front of the cabin also has a compact look to it, aided in no small part by the aforementioned centre console, which completely compartmentalises the driver and passenger seats. Occupant space is not compromised, however, and leg and headroom is perfectly adequate. And that concludes my issues with the Opel Astra saloon. Our sleek, black sedan was a beautiful, sophisticated looking car, very like a baby Insignia. Inside, the cabin is luxurious, with very comfortable leather seats – heated for those sitting in the front. Two adults would be comfortable in the back, with a large pull-down armrest with two cupholders adding to a sense of luxury. 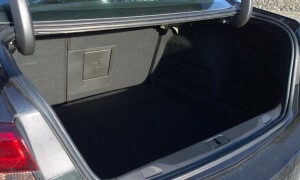 A hatch can open through to the large boot. There’s also lots of nice cubbies, with three cup holders in the front and door bins designed to hold bottles upright. The infotainment unit in this car is a bit button-tastic – but it’s easy to use. It’s also very simple to pair your phone. The sound system in the top of the range Elite-trim test car was remarkable. It was absolutely fantastic and, depending on your taste in music, almost has a nightclub feel to it. The SatNav was also very good. The Opel Astra saloon is a pleasure to drive. I took our six-speed manual review car on a variety of routes, including city, country back roads, urban and national motorway. It was excellent on the road, with great acceleration from 0-100kph and lovely handling in the city and on the open road. The car has three drive modes – sport, tour and normal – and you can really feel the difference between them. Sport tightens up the suspension and tour dampens the bumps in badly surfaced roads. Overall, I really liked the Opel Astra saloon. It’s a beautiful, stylish looking family car that’s spacious, practical and wonderful on the road. 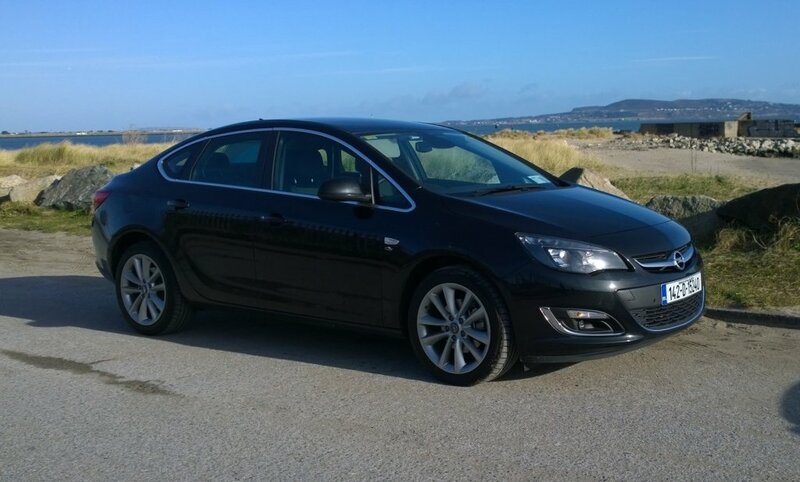 The Opel Astra saloon is available now, with prices starting from €19,995. On-the-road prices for the Elite model I was driving start from €25,795.